Telephony, Business VoIP Solutions- Columbus, Springfield, Grove City | Arnet Technologies, Inc. Simple to buy, flexible to grow with your business, VoIP solutions designed with small business in mind. Arnet’s Voice over IP (VoIP) solutions run on SIP trunks, which are less costly than other traditional phone lines and widely available from carriers. Our VoIP offering is intentionally focused on small and medium enterprises, with an all-in-one approach including all the essential features with every system. It is flexible to meet the needs of the different user types, and can be deployed to any industry. It is perfect for replacing old and outdated phone systems that are past due for an upgrade as well as for businesses with more than one location. Arnet’s VoIP systems are the industry leaders in mobile integration with real-time mobile and Outlook contact sharing, call handoff from the IP phone to your mobile device, remote control of the IP phone, customizable auto-attendants, call activity reporting, conferencing and much more. Five models designed for up to 20, up to 50, and up to 180 users per site. 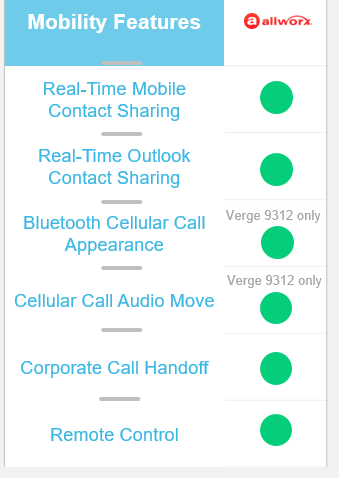 Ability to scale from 12 to 30 to 60 concurrent external calls per site.